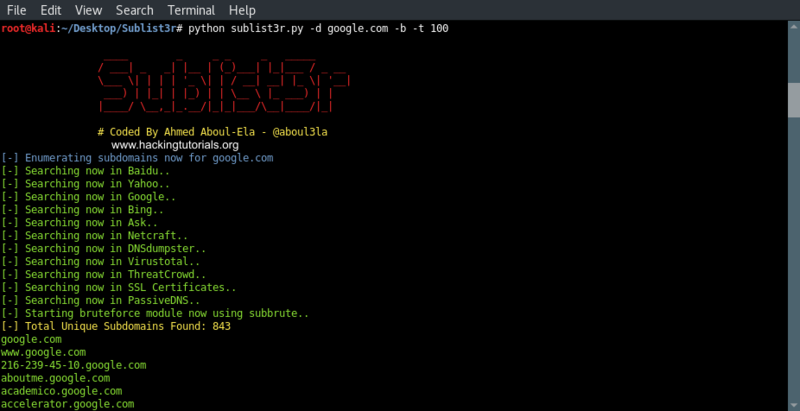 Today we’re going to do a small tutorial on subdomain enumeration with a tool called Sublist3r. 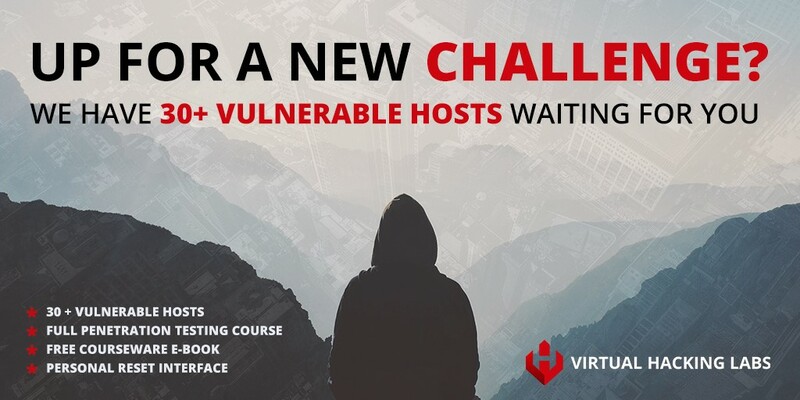 Whether you’re a penetration tester enumerating possible attack vectors or a bug bounty hunter looking for domains that are in scope, subdomain discovery tools are indispensable in every toolkit. 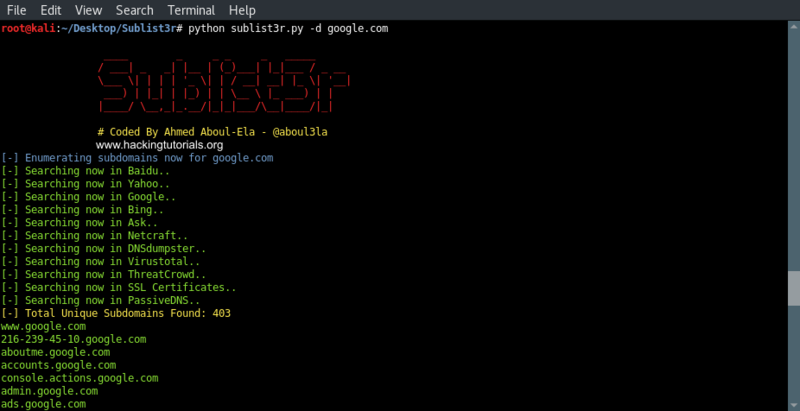 Sublist3r is a subdomain discovery tool that is written in Python that has been designed to enumerate subdomains of websites using data from publicly available sources and brute force techniques. The public sources consist of a wide range of popular search engines such as Google, Yahoo, Bing, Baidu, Ask and also Netcraft, Virustotal, ThreatCrowd, DNSdumpster and ReverseDNS to discover subdomains. Optionally you can also brute force subdomains for a given domain name, this is then handled by an integrated tool named Subbrute. Subbrute is a DNS meta-query spider that enumerates DNS records and subdomains by using an extensive wordlist. This tool uses open resolvers to avoid rate limiting issues that prevent Subbrute from completing the list or attempting all entries. 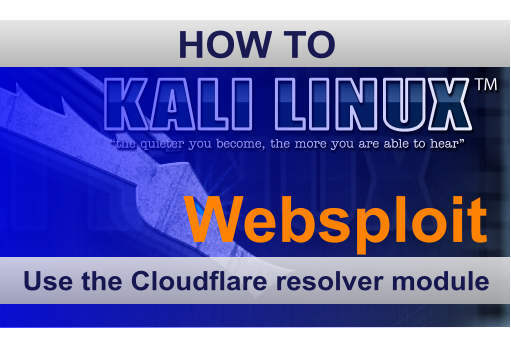 Unfortunately Sublist3r is not installed on Kali Linux by default so before we can start scanning some hosts we have to install the tool first. Fortunately the installation process is pretty straightforward and should not cause any trouble. As we can see Sublist3r discovered 403 subdomains from Google, Bing, Yahoo and the other search engines. The found subdomains are then printed to the terminal. As we can see Sublist3r and Subbrute found a total of 843 unique subdomains for the google.com domain. To get the best results for subdomain discovery it is recommended to use a set of different tools. As different tools use different sources, techniques and wordlists to discover subdomains, combining the results of each tool will get you the best results. In this tutorial we’ve only covered Sublist3r (and Subbrute) but in future tutorials we will also look at some other tools such as recon-ng, Fierce and GoBuster and combine the results to a single list of unique subdomains.